With the excitement of England’s heroics in the World Cup, it’s easy to forget that the new League season is less than 4 weeks away. We all no doubt felt immense pride in seeing Harry Maguire’s bullet header against Sweden on Saturday, just over 12 months after he left City for the more settled waters at Leicester for a ridiculously low bargain price, but how much is he worth now in the market? Back to club matters, our thin looking squad is now in Portugal preparing for the new campaign. Surely we won’t see as many players leaving early this year to secure deals elsewhere but even with 2-3 deals for new signings pending, Nigel Adkins must be backed much further if we are to avoid another struggle in the bottom half of the table next season. Behind the scenes, the Trust Board has continued to represent the views of our members at both local & national level over the summer months and are well prepared for the new season when activity levels will no doubt increase. 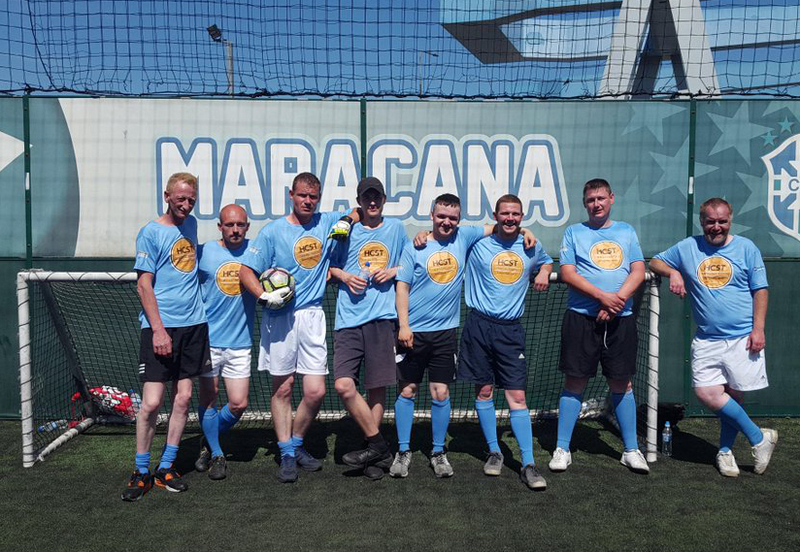 Sunday 1st July saw the Emmaus Portland Cup five-a-side trophy being played at Goals Hull. As well as the hosts six other Emmaus communities (Glasgow, Lambeth, Leeds, Mersey, Mossley and Salford) competed along with a team from Aunt Bessie’s who are amongst the sponsors of the Hull community. 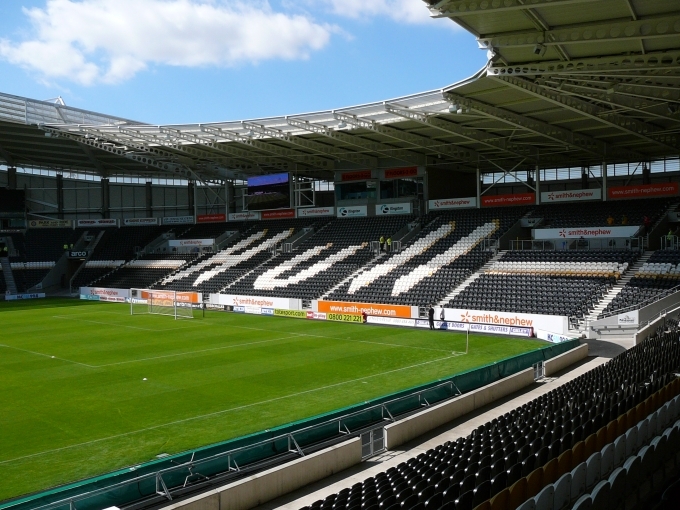 As part of our ongoing support for football based projects in the community The Trust were happy to sponsor the shirts for the Hull team and pop down to Goals and video the events of the day. The video will appear on our YouTube channel shortly. Emmaus supports formerly homeless people by giving them a home, meaningful work in a social enterprise and an opportunity to get back on their feet again. These companions are assisted with training and developing the skills needed to get back into work and then ultimately find a place of their own. For many who experience homelessness, one of the biggest obstacles they must overcome is a loss of self-esteem. Emmaus provides people with a stable home and the opportunity to regain their self-worth, making a real contribution to their community. Research shows that for every £1 invested in a community, there is an £11 social, environmental and economic return, with savings to the benefits bill, health services and a reduction in crime reoffending. Emmaus Hull has a 30 room community home, The Orchard, at their base down Lockwood Street together with their Furniture Superstore and café (which is handy if visiting the Banksy and Bankside Gallery). There are other shops located at Hessle Road, Newland Avenue and Whitefriargate. Emmaus also provides the rough sleeper outreach service for Hull and East Riding which is a vital lifeline to some of the most vulnerable members of society. On the day it was Aunt Bessie’s who came out as champions beating Emmaus 3-1 in the final which was played in glorious conditions for the spectators albeit hot for the participants! If you are interested in the work done by Emmaus then more details may be found on their website here. Also a special thanks to Goals Hull with their efforts in putting the tournament on. England’s glorious victory wasn’t the only football to be seen last Saturday. Earlier at 12:30 a team of Hull City Legends blew the dust off their boots and took on a team of North Ferriby United Legends at the newly renamed Chadwick Stadium down Church Road. It was great to see the old boys strutting their stuff and in some cases proving that they ‘still have’ it on what was a lovely sunny day. 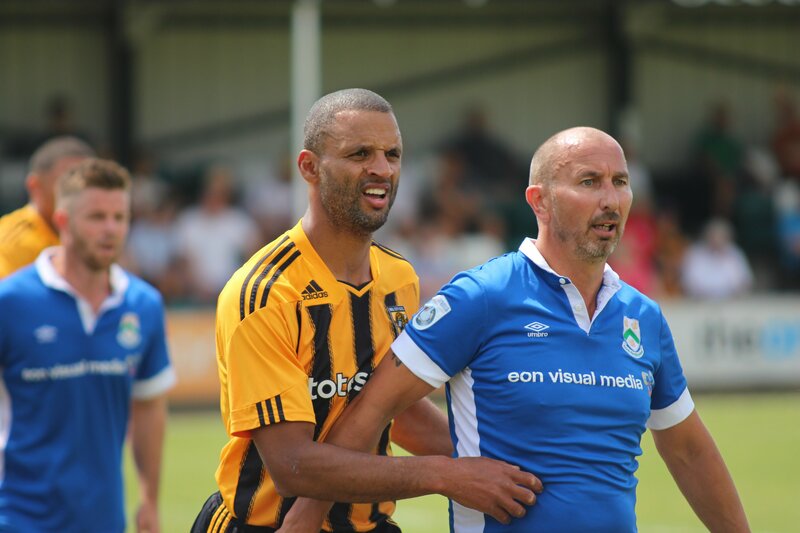 The game was played to benefit North Ferriby United who are suffering financial problems after their second successive relegation and recent second change of ownership and formed part of a double header with the first friendly game of the season. Ferriby ran out 6-5 winners thanks to a ‘Testimonial standard’ last minute penalty award; to be fair there was no way extra time could have been played! If you missed out on the action fear not match highlights can be found here on The Trusts YouTube channel. 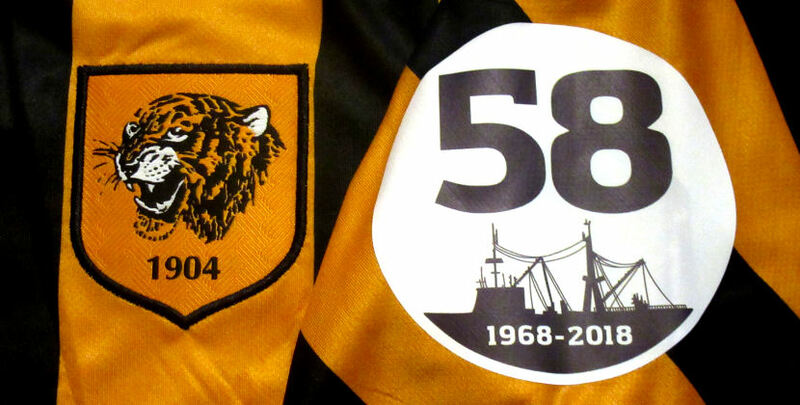 As of publication date £2871.45 has been raised for the Trawler Memorial Groups from the Shirt Auctions. The shirts were kindly donated by the Club to the Triple Trawler Memorial Group who asked the Trust to advise them. We in turn asked Les Motherby of @HullCityKits to organise the auction. The Trust thank Les for this magnificent total, which will be split between the four Trawler Memorial Groups. 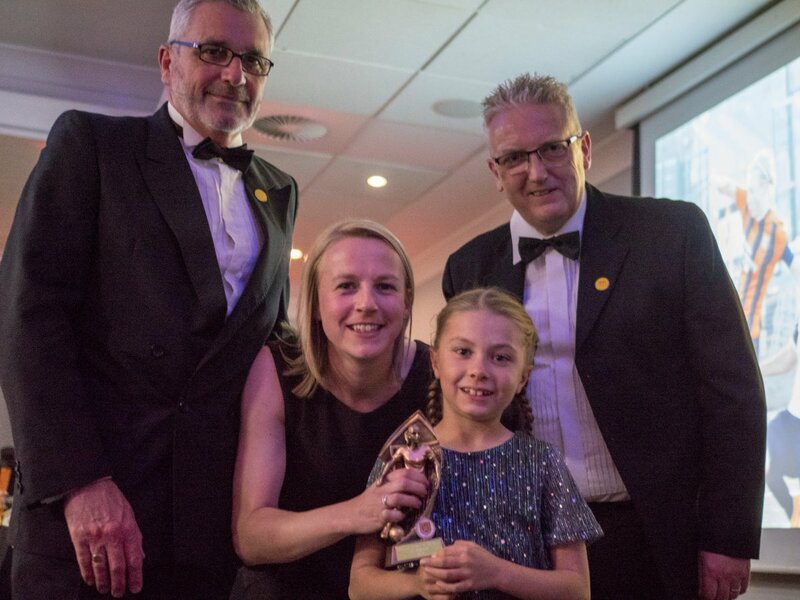 Chairman Geoff Bielby and Secretary Richard Mathers represented the Trust at the Hull City Ladies Awards Evening held on 15th June. In this week’s Partner of the Week section, we have an in-depth look at two HCST partners – Dinostar – The Dinosaur Experience & The William Gemmell. Our first partner of the week is Dinostar – The Dinosaur Experience. Dinostar is Hull’s interactive, hands on dinosaur museum. Highlights include Triceratops and Tyrannosaurus rex skulls, Triceratops bones you can touch and our Dinosaur Sound Box. Open every Sunday and school holidays, see web site for details. 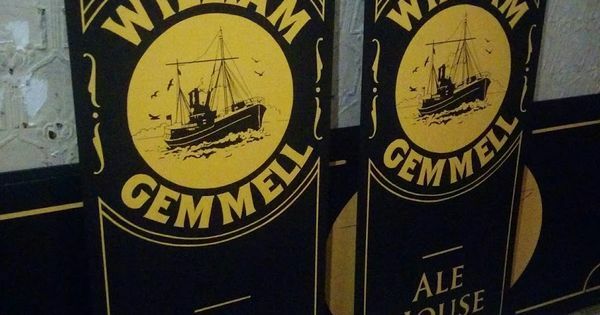 Our second partner of the week is The William Gemmell. The William Gemmell club on Anlaby Road is a welcome addition to our partnership scheme. 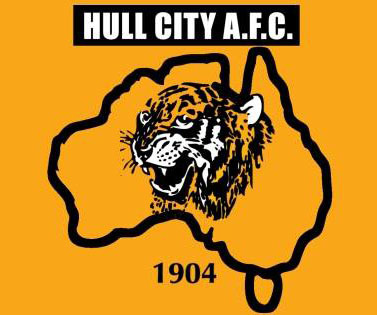 As part of this arrangement, all HCST members will become affiliate members of the Gemmell, and the Trust will have a presence there on all Hull City home match days with membership applications and renewals as well as Trust merchandise available for purchase.